I am very excited about Fat Quarter Shop’s new pattern company, “It’s Sew Emma”, so I can publish all of the quilt design ideas floating around in my head. 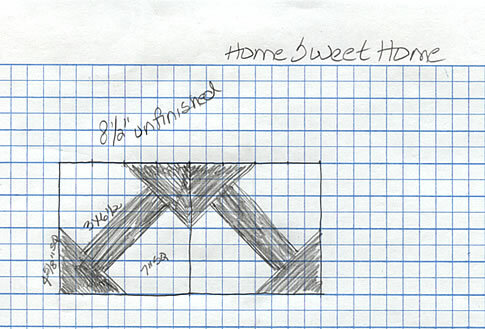 Ideas + new fabrics = “Home, Sweet, Home”! I’m a graph paper designer so this design started with pencil, paper and filling in squares on the graph paper. I am in love with the Moda designer, Sweetwater. 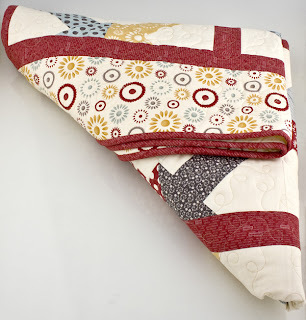 So when Moda showed me the Hometown collection, I knew I had a design perfect for that fabric. 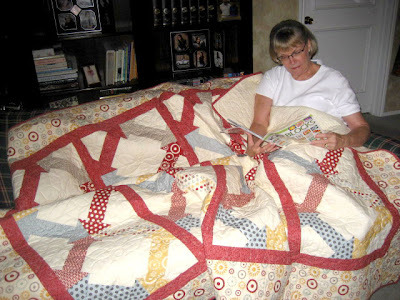 My design uses 15 SKUs in the collection and there is a lot of room for motif quilting in the background areas. 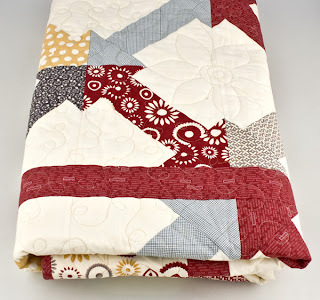 I particularly love the flower quilting design my long-arm quilter used in the background areas of my quilt! Don’t forget we have an It’s Sew Emma Pattern club. Sign up to receive all of our It’s Sew Emma patterns 20% off!